Years back, many areas in health-care sector of this ever-expanding city of Surat needed up-gradation. 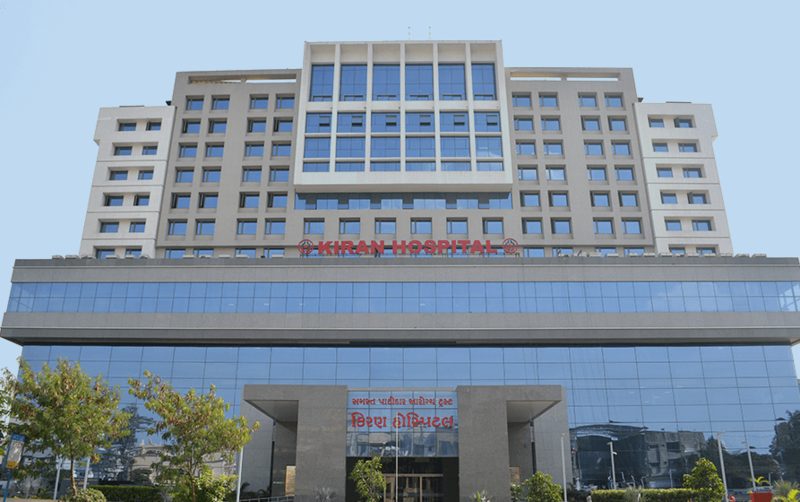 Though the city was studded with many smaller health care units, the need of the hour was a state-of-art, high-end, well-equipped hospitals with round the clock availability of doctors, and as they say “Necessity is the mother of Invention”, this need carved out KIRAN HOSPITALAND RESEARCH CENTRE. Cafeteria for the utility of staff as well as patient attendees apart from the OPD and IPD, in a land area making the best possible use of every corner of space. Facility for Helipad on top floor of the hospital for receiving emergency and trauma cases. KIRAN Hospital offers doctors and patients cutting-edge diagnostic and surgical solutions as well as the latest in IT systems. In many cases, they represent the first of their kind in the region. Only hospital to have tastefully appointed in-house guest rooms that keep you close to your patient at all times. 24-Hour Pharmacy and Healthcare store ensuring that all medicines are authentic and stored as per the required standards.